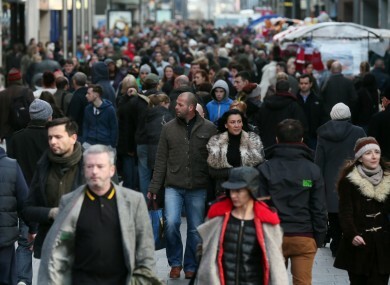 Irish consumer sentiment rebounded to a fresh seven-year high in April, a survey showed on Tuesday, but the authors warned that optimism about the overall economy was not translating into confidence about personal finances. The KBC Bank Ireland/ESRI Consumer Sentiment Index climbed to 87.2 in April from 83.1 in March, its highest since January 2007, the year before a property bubble burst and a deep economic crisis took hold. But while 51% of those surveyed said they expected the Irish economy to improve in the next 12 months, only 17% said they expected their personal finances to improve. “It is good news that consumers feel the world is getting better but these data are not saying all their problems have gone away,” KBC Bank Ireland chief economist Austin Hughes said. 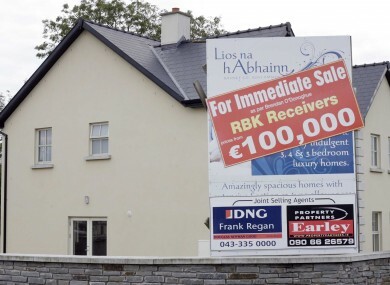 Rising house prices and falling unemployment have helped boost confidence since Ireland emerged from its EU-IMF bailout late last year, prompting government ministers to hint at an end to the country’s austerity programme. Economists polled by Reuters last month forecast gross domestic product growth of 1.7% in 2014, up from a 0.3% contraction last year. Retail sales were up 8.9% in March from a year earlier although when booming car sales are excluded they rose a more modest 2.2%. Tuesday’s survey showed the number of people who said the economy was likely to improve in the coming year was stable at around 50%, but the number who expect the economy to worsen fell to 14% from 24% in March. The Parents of seriously ill children have launched a national campaign to protect their medical cards. Dublin man Peter Fitzpatrick and his wife Wendy were inspired and launched the ‘Our Children’s Health’ campaign after witnessing the struggle facing his brother-in-law Kevin Shortall and wife Tracey in trying to secure a long-term medical card for their cancer- stricken daughter Louise. He said: “The simple fact is, no matter how ill, no matter how severe a condition your child has, there is no legal entitlement to a medical card in Ireland unless your circumstances meet the terms of a crude, outdated means test. Louise (8) was only recently issued a year-long medical card, despite being diagnosed with leukaemia in 2012. Meanwhile, Dubliner Mark Fitzpatrick said he was refused a medical card for his son Eric after being told he earns €70 a week too much to qualify. His 10-month-old baby was offered a GP visit card instead, but Mr Fitzpatrick insists that by his calculations, Eric should get a medical card. The Donaghmede man believes that a GP visit card will not be sufficient in assisting his young son’s medical needs. “Eric got a diagnosis at 10 weeks old. It’s a rare form of epilepsy that will cause very weak muscle tone, so chances are he will never walk or talk. “He needs 24-hour care, so his mother Wendy had to give up work,” he said. Separately, Dianna Ross said that she would fully support this campaign, as her seven-year-old son Ben Pretorius was told last year that his medical card was up for renewal and would expire this February. Ben, who has been seriously ill since birth, was only last week diagnosed as suffering from a rare form of epilepsy. She quit work to become his full-time carer, and described her battle to secure her son a medical card as “a nightmare”. “He was diagnosed with epilepsy first when he was a baby. They gave us a long-term illness card until he was three. “When he was five, they sent out the forms for renewal. “I sent them back, and they refused me. I was sent a GP- visit card in the post. “I appealed that, and said I wanted the medical card so I got one. So now it is up for renewal again.” She is still waiting for an answer six weeks later. Newly appointed Children’s Minister Charlie Flanagan said: “There are some difficult cases out there, I would hope that everybody who needs a medical card in this country would have one,” he said. Irish home mortgages paid in Q1 2014 were at the lowest since 1972 according to data issued Tuesday. The Irish Banking Federation for positive impact has highlighted a 65.6% rise over Q1 2013 but the inconvenient fact that is missing is that mortgages paid in Q1 2013 had plunged as the end of mortgage interest relief at in December 2012 had resulted in a temporary spike in Q4 2012. The IBF/PwC Mortgage Market Profile, published today, shows that a total of 3,425 new mortgages to the value of €568m were drawn down by borrowers in Ireland during the first quarter of 2014.This compared with 5,206 in Q4 2013 and a value of €898. What it doesn’t wish to highlight is that in Q4 2012 there were drawdowns on 6,043 mortgages with a value of €999m. The lobby group says that key home purchaser segments of the market, First Time Buyers and Mover Purchasers, continue to dominate the market accounting for almost 85.9% of new mortgages issued. In effect, over 90% (91.2%) of all mortgage credit now goes to the home purchasing segments of the market. Noel Brett, IBF chief executive, said: “We welcome the notable year-on-year increase in the number of new mortgages drawn down during the first quarter of this year” – – as we have pointed out, there was no normal notable increase. “Notwithstanding the fact that Q1 is traditionally the weakest of the four quarters in any year, the volumes recorded are the highest Q1 figures we have seen since 2010 and the first time we have seen Q1 year-on-year growth since 2006. Today’s figures provide further encouraging evidence that the market continues to recover. That said, we remain concerned that housing supply constraints in key locations are becoming a serious impediment to sustained growth; and this is reflected in the widening gap we see developing between the level of mortgage approvals and actual drawdowns,” he added. Around 13 people die every day in Ireland as a result of sudden cardiac arrest, however some of these lives could be saved if more people knew CPR, the Irish Heart Foundation (IHF) has said. According to the foundation, sudden cardiac arrest can affect people of all ages, including babies and children. Cardiac arrest refers to the sudden loss of function of the heart. It occurs when there is an abrupt disturbance in the heart’s rhythm, causing the heart to stop beating. A person whose heart has stopped beating will fall unconscious and stop breathing normally. If they do not get immediate medical assistance, sudden cardiac death will follow. Some 5,000 people die as a result of this every year in Ireland. CPR (cardiopulmonary resuscitation) is a first aid technique which should be administered as soon as possible to a person who has suffered a cardiac arrest. It can double a person’s chance of survival by keeping oxygen and blood circulating to the body’s vital organs. Hands-only (compression-only) CPR is a technique that can be used by anyone who has not undergone CPR training. To highlight the importance of this technique, the IHF held a practical training session for senior politicians, including Fine Gael TD Mary Mitchell O’Connor, Independent TD Denis Naughton and Senator Jillian Van Turnhout. The IHF said its aim is to double cardiac arrest survival rates in Ireland by educating the public on how to deliver hands-only CPR. As part of the politicians’ training session, fifth year pupils from Adamstown Community College in Co Dublin were able to show them in just 10 minutes how to carry out the technique. It involves hard and fast compressions that go at least two inches deep in the centre of the chest. This keeps the heart beating manually. “In the event of a collapse from cardiac arrest, every minute is vital, but without CPR or defibrillation, their chance of survival falls by up to 10% a minute. After just five minutes, that person may only have a 50% chance of survival. “At the Irish Heart Foundation, our goal is that all adults and teens know the importance of calling 999 immediately and starting chest compressions, even if they have never been taught CPR before. These two steps can double a person’s chance of survival but without CPR, there may be no-one left for paramedics to save,” said cardiologist and IHF medical director, Dr Angie Brown. In 2012, 93 people were discharged from hospital following a cardiac arrest, as a result of someone doing CPR or using an AED (automated external defibrillator) on them. An AED is a device that administers an electric shock to a person who has suffered a cardiac arrest. This week marks the IHF’s 25th Happy Hearts Appeal, which aims to raise €500,000. This money will be used to fund a national hands-only CPR awareness campaign to begin in the autumn. Heart pins will be on sale on the streets and in SuperValu stores nationwide for €2 from May 15-17. “This week I am asking everyone to stop and think, would I know what to do if my loved one collapsed suddenly? Our hands-only CPR education campaign could save the life of someone you know. Two-thirds of sudden cardiac arrests happen at home and half happen in front of someone just like you. For just €2, you can support teaching more people how to save a life, maybe the life of someone you love,” Dr Brown added. The planet GU Psc b, seen in an artist’s conception, is about 10 times bigger than Jupiter, and is located about 50 times farther away from its star than the dwarf planet Pluto is from the sun. A gigantic planet-like object like no other has been found circling a tiny star at a record distance. The object is a kind of “super Jupiter” – a gas giant about 10 times bigger than the biggest planet in our solar system, says Marie-Eve Naud, a PhD student at the University of Montreal and lead author of a scientific report describing the planet. The study is being published in the Astrophysical Journal this week. GU PSc b is 2,000 times farther from its star than the Earth is from the sun, 67 times farther than Neptune and 50 times farther than Pluto — more distant than any planet ever discovered by a long shot, said René Doyon, a University of Montreal professor who is Naud’s co-supervisor and co-author of the report. The researchers estimate that the planet completes its orbit around the star about once every 80,000 years. The star itself is located about 155 light years away, in the constellation Pisces, and is a small, young one, with just a third the mass of our sun. 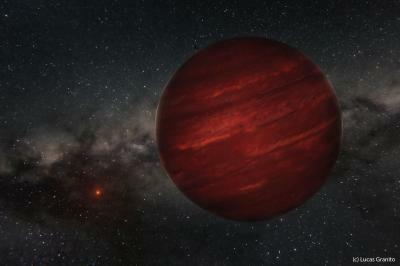 “Usually you don’t expect big planets around small stars,” Naud said. On the other hand, the unusual object is so big that it may not be a planet at all. It may instead qualify as a brown dwarf or a “failed star” too small to ignite the nuclear reactions that power stars. “Either way this is exciting,” Doyon said. If it’s a planet, it shows that planets can form farther away from stars than previously thought, and may not always form from the “planetary disk” of dust near a star. If it’s a brown dwarf, it shrinks the known size limit of objects that can form in a way similar to the way stars form. Regardless of what it is, it is physically similar to a planet and is very valuable to scientists seeking to know more about planets outside our solar system, Doyon said. The researchers even detected water and methane in the planet’s atmosphere, Doyon added. 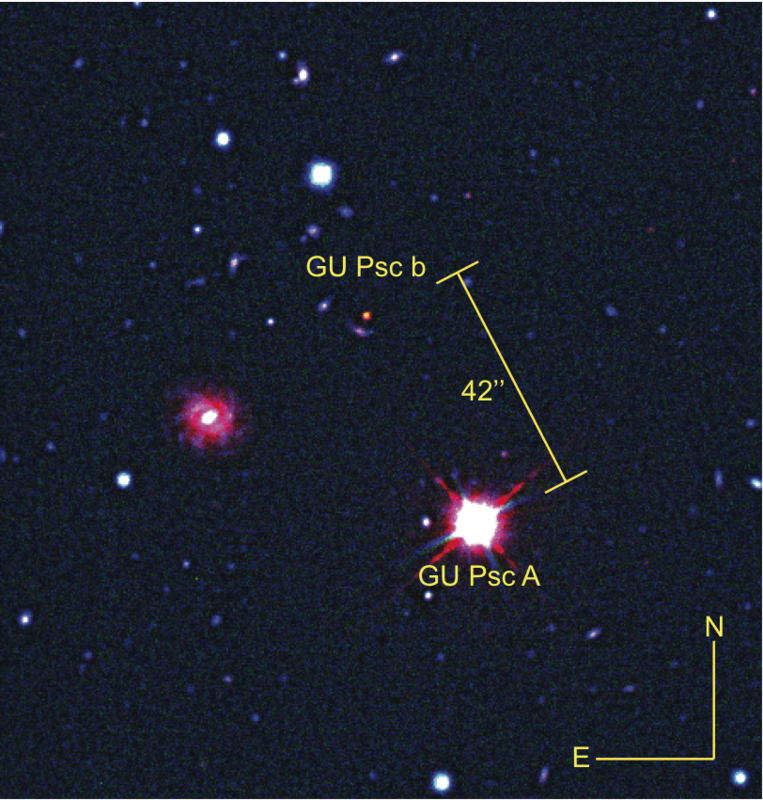 The team found GU PSc b during a survey of young stars launched by Naud’s primary supervisor, Étienne Artigaud. He hoped that those stars might be circled by young planets, which are warmer, brighter and easier to see than older planets. The new planet itself has a temperature of about 700 to 800 C despite the distance from its star. But because it is big and gassy, it wouldn’t be habitable even after it cools to a more comfortable temperature. “What could be habitable is a moon around that planet,” said Doyon. He added that Jupiter’s moon Europa would have liquid water on its surface if it orbited Gu PSc b. However, the comfortable conditions wouldn’t last long, as the planet would continue to cool rapidly as it got older. The team found and studied the new object using the Observatoire Mont-Mégantic in Quebec, the Canada-France-Hawaii Telescope and the W.M. Keck Observatory in Hawaii and the Gemini Observatories in Chile and Hawaii. It said it was ‘not acceptable that any Church authority in Ireland would have waited until 2012 to begin the process of implementing accepted and agreed Church child safeguarding policies’, the review said. The fact that no child safeguarding case management files existed in the Divine Word (SVD) missionary congregation prior to 2013 “is of great concern and indicates a lack of any focus on child protection within the society over the last 20 years,” the National Board for Safeguarding Children in the Catholic Church in Ireland (NBSCCCI) review has found.”Case files were constructed by the society in advance of the review taking place,” it said. The existence of child safeguarding case management files within the congregation “can only be traced back to the beginning of 2013,” it said. “A lot of documentation was either never generated, or was removed or destroyed by parties unknown, or was kept in some file or files the existence of which has not yet been discovered.” it said. It also described as “ truly unfortunate and a great injustice that it is almost impossible to identify the victims of historical child sexual abuse who live in developing countries and whose abuse took place many years ago. 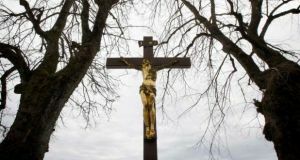 “The behaviour of the few SVD members who perpetrated this abuse has severely undermined the integrity of a Christian brotherhood that aspires to bring the Good News to people who have not yet heard it,” it said. Nor did the congregation “place a notice on its website announcing this NBSCCCI review and inviting anyone who had a child safeguarding concern to make contact,” as is required. What was missing in the congregation’s approach “is a clear and systematic consideration of the potential to identify victims of member.” The reviewers found evidence “on the files of some attempts to assess the risks posed by members about whom there were child safeguarding concerns. However, this approach was hit and miss,” it said. A total of eight abuse allegations were made against six Divine Word missionaries since January 1st 1975, with one convicted in the courts, according to today’s review. The reviewers read case files on seven accused men, however. The standards in Public Office Commission is to make a decision about Pádraig Doherty expences claim within weeks. SIPO heard that Cllr Pádraig Doherty attended a meeting of Údarás na Gaeltachta in Furbo, Co Galway for which he claimed mileage expenses and overnight expenses despite spending that night in Donegal. A Donegal County Councillor has appeared before the Standards in Public Office Commission over allegations around travel and subsistence expenses, including an allegation that he claimed expenses for the same conference from two different bodies. A total of nine alleged contraventions are made against Cllr Pádraig Doherty, an independent representative for the Glenties electoral area, following a complaint by Donegal County Council. Cllr Doherty, who is standing in the upcoming local elections, admitted to the contraventions and, through his legal representative, apologised to the commission, but said the the contraventions were “unintentional” and “inadvertent”. Three of the allegations relate to Cllr Doherty’s attendance of the Association of County and City Councils’ Annual conference in Dungarvan, Co Waterford between March 8th and March 10th 2007. The commission heard that Cllr Doherty claimed travel and subsistence expenses totalling € 1,021.08 from Donegal County Council in December 2007 but had, three months earlier, claimed expenses from Údarás na Gaeltachta for the same conference for a total of € 1,032.75. However, Cllr Doherty later wrote to Donegal County Council in August 2011, a year prior to a complaint being made in relation to the matter, saying he had discovered the duplication during a review of his expense claims and repaid the full € 1,021.08 to the council. Further allegations against Cllr Doherty relate to two separate conferences which took place in Waterford and Galway on two consecutive days in November 2008. Cllr Doherty attended the first of the two conferences, the Irish Central Border Area Network Conference in Dundalk, Co Louth, on November 20th 2008 and returned home that night. He later made a claim for mileage and subsistence of € 295.39. The commission heard that, the following day Cllr Doherty attended a meeting of Údarás na Gaeltachta in Furbo, Co Galway for which he claimed mileage expenses and overnight expenses despite spending that night in Donegal. However, Cllr Doherty’s legal representative, senior council Richard Lyons, read correspondence from Údarás na Gaeltachta stating that Cllr Doherty had later written to it amending his claim to state he left Donegal at 4am on November 21st 2008 and not 4pm on November 20th which it had accepted . Mr Lyons said Cllr Doherty, who had been an Údarás na Gaeltachta member for 26 years and a council member for 15 years, had admitted to the breaches a “very early stage”, had cooperated fully with the inquiry. He also noted that there had been no financial loss to either body. Chair of the commission, Mr Justice Daniel O’Keeffe said it would deliver its decision within a matter of weeks. 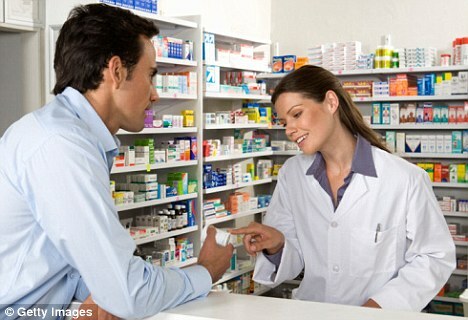 More medicines are to be made available without a prescription saving patients an expensive trip to the doctor. The drugs regulator has identified a range of around 20 products that will be made available over the counter in pharmacies and may include migraine medicines and commonplace anti-fungal drugs. Pat O’Mahony, chief executive of the Irish Medicines Board (IMB), said preparations are at an advanced stage to take around 12 of these medicines off prescription shortly and patients are likely to be given easier and cheaper access to the remainder next year. Speaking at the Irish Pharmacy Union annual conference in Cavan over the weekend, he declined to disclose the medicines on the list. However, they are likely to include some products which are already available over the counter in the UK. Drugs which may be included in the list include the medicine fluconazole – used to treat fungal infections such as thrush – which is available only on prescription here but can be purchased over the counter in Northern Ireland. Pharmacists also recently called for the migraine medication Sumatriptan, to be available here without prescription, as it is in the UK. They argued it would allow migraine sufferers to access appropriate and effective treatment from their pharmacist without delay. “We have long argued that too many medicines are prescription only and that pharmacists should be empowered to have greater discretion in deciding whether to dispense medicines to patients,” said Kathy Maher, the new President of the IPU, as she welcomed the move. She said the public will benefit through having easier access to the medicines which can be obtained over the counter in consultation with a pharmacist. 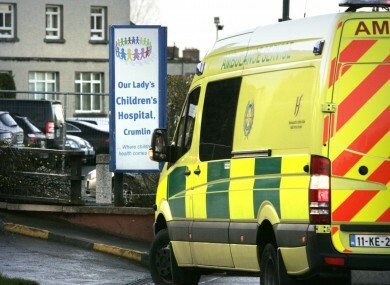 For private patients it will cut out the need to pay the doctor a fee of around €50 in order to get a prescription. Ms Maher, who is a pharmacist in Co Meath, also revealed the findings of an IPU survey showing that 38pc of medical card patients “think twice” about filling prescriptions because they will have to pay a levy of €2.50 for each medicine. She warned this was leading patients to “ration” their use of medicines with potentially harmful consequences. She said while the charge will not be scrapped it is time to exempt some vulnerable groups including people who are receiving palliative care, the homeless and residents of nursing homes. Over the last decade or so, the number of female acquaintances who continue to smoke has dwindled into single figures. 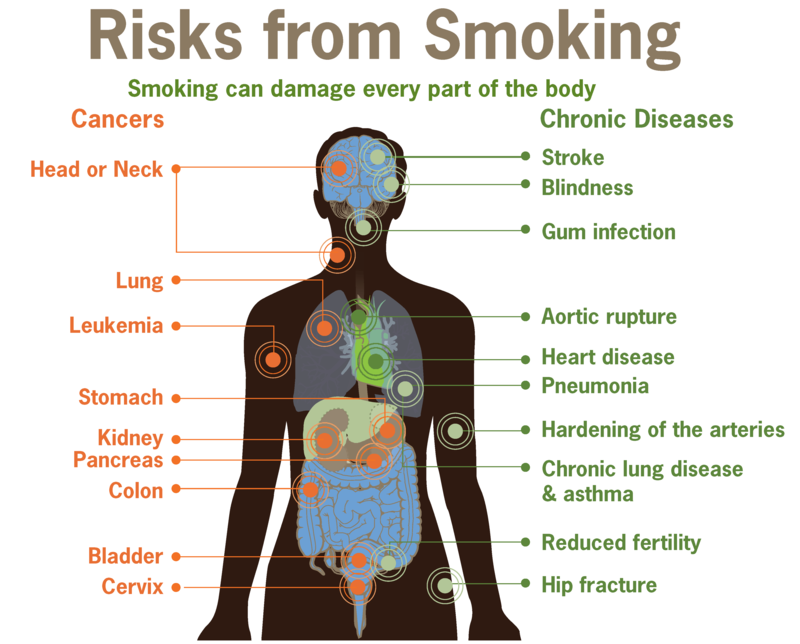 We realised that if we did not want to succumb to heart disease or lung cancer at an early age, the fags would have to go. We’re also starting to get the message about stuffing ourselves with too much junk food and preservative-laden quickie meals – yes, Jamie Oliver, we have been listening. And not a minute too soon, as the latest research says that if we don’t cut down on our calories Irish people are set to become the fattest in Europe by 2030. So, increasingly I’m seeing women in the supermarket peering at labels and cutting down on the amount of “treat” foods in their baskets. But where we’re falling behind is with exercise. If you see two women, for instance, one quite slim and the other, as we put it, “pleasantly plump” who would you think is the least fit and healthy and in more danger of contracting heart disease? If you immediately assume it’s the overweight woman, you may be wrong. This week scientists from Queensland University revealed the results from a 20-year study which tracked the long-term health of women born in the 1920s, 1940s and 1970s. What they found was that, after the age of 30, the biggest threat of getting heart disease for women over the age of 30 was not from smoking, obesity or high blood pressure, but from lack of exercise. Ergo, if you are a 30-plus female, you can munch broccoli and spinach all you like, but if you lead a sedentary lifestyle you are at more risk of keeling over from heart disease than a woman who has the odd fag and glass of wine but exercises regularly. To increase our fitness levels we need to raise our heart rates and break a sweat – that means covering a mile in less than 20 minutes or so. And a leisurely stroll of even a few miles every other day isn’t going to cut the mustard. We need at least two-and-a-half hours of good physical activity weekly. And most of us are not getting it. Last month, the UK government warned that the British people were more physically inactive than they have been at any other time in “all human history”. I would bet that the Irish are even worse because promoting physical fitness has never been a priority in this country. It never needed to be when we had to plough fields, milk cows or cycle miles to the next village. When Ruairi Quinn suggested that some of the numerous hours spent teaching catechism in Irish schools could be given over to maths instead, there was uproar. But no one has yet to complain about the lip service we give to physical fitness and the impact that has on increasingly serious health issues in Ireland. Find out what physical and mental benefits you could receive from having a pet. 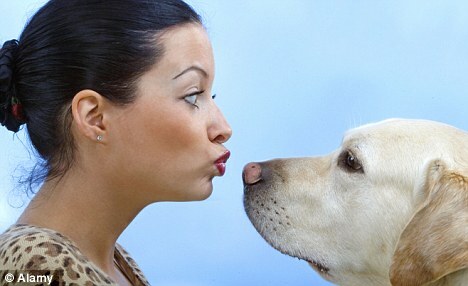 It’s a well known saying that dogs are a human’s best friend. They’re loyal, always there for you and are great listeners. So animal fans will be pleased to hear that having a pet improves both your mental and physical health, even having something as small as a guinea pig. If you want to know more about the benefits of having a pooch or moggy, or maybe even a hamster, keep reading. A study published in the Journal of Personality and Social Psychology documents how pet owners have a more positive outlook in general and better wellbeing overall. It’s the feeling an animal offers, taking away any traces of loneliness and boosting self-esteem, which makes them the perfect company. After a hard day’s work it’s a relief to come home to unconditional love. You may be in a foul mood or look a mess but your pet couldn’t care less. The body’s reaction to being in the same room as an animal shows the effects they have. “A powerful neurochemical, oxytocin, is released when we look at our companion animal, which brings feelings of joy. It’s also accompanied by a decrease in cortisol, a stress hormone,” Rebecca A. Johnson, PhD, director of the Research Center for Human-Animal Interaction at the University of Missouri College of Veterinary Medicine, revealed. She carried out a study on post-traumatic stress disorder in veterans and the prescience of an animal was extremely powerful. “One veteran couldn’t leave his home without his wife until we placed a dog with him and in less than a week he was able to go around his town,” she recalled. If you’re thinking of starting a family in the future, having a pet during the first few months of having your baby could strengthen their immune system for the future. Research in the Clinical & Experimental Allergy journal found that kids who had pets before they were six months old were less likely to develop hay fever, eczema and allergies as they got older. Loss of ice is moving Earth 400 km downwards! Earth’s mantle under Antarctica is moving rapidly, changing the shape of the land at a rate that can be recorded by GPS, scientists say. Antarctica may seem a motionless, yet hundreds of miles down the Earth is moving at a rapid rate, says a new research. Antarctica may seem a motionless and frozen landscape, yet hundreds of miles down the Earth is moving at a rapid rate, according to a new research. An international research team led by Newcastle University, UK, has explained for the first time why the upward motion of Earth’s crust in the Northern Antarctic Peninsula is currently taking place so quickly. Previous studies have shown the Earth is ‘rebounding’ due to the overlying ice sheet shrinking in response to climate change. This movement of the land was understood to be due to an instantaneous, elastic response followed by a very slow uplift over thousands of years. But Global Positioning System (GPS) data collected has shown that the land in this region is actually rising at a phenomenal rate of 15mm a year – much greater than can be accounted for by the present-day elastic response alone. And researchers have shown for the first time how the mantle below the Earth’s crust in the Antarctic Peninsula is flowing much faster than expected, probably due to subtle changes in temperature or chemical composition. “You would expect this rebound to happen over thousands of years and instead we have been able to measure it in just over a decade. You can almost see it happening which is just incredible,” lead researcher, Grace Nield, from School of Civil Engineering and Geosciences at Newcastle, said. “Because the mantle is ‘runnier’ below the Northern Antarctic Peninsula it responds much more quickly to what’s happening on the surface. So as the glaciers thin and the load in that localised area reduces, the mantle pushes up the crust,” said Nield. “The ice is pressing down on the Earth and as this weight reduces the crust bounces back. But what we found when we compared the ice loss to the uplift was that they didn’t tally – something else had to be happening to be pushing the solid Earth up at such a phenomenal rate.